Although Texas has always had to deal with extreme weather events, we can anticipate even more intense weather as climate change advances. The new climate ‘normal’ makes extreme heat waves, like the historic 2011 Texas summer, 20 times more likely to occur. These extreme weather events heighten the urgency of the energy-water nexus. As of July 31st, ten municipalities were identified as ‘emergency’ areas, meaning they could run out of water within 45 days or less. At the same time, regulators are concerned that water-intensive conventional electricity generators (i.e. coal, natural gas and nuclear facilities) may not have enough water to feed our energy needs. The energy and water shortages go hand-in-hand, but that doesn’t mean ERCOT and the Texas Water Development Board (TWDB), the state agency charged with keeping Texans’ faucets running, are talking to each other. Texas needs to move quickly to assess future energy and water ‘co-management’ plans (‘co-management’ is the key term here!). 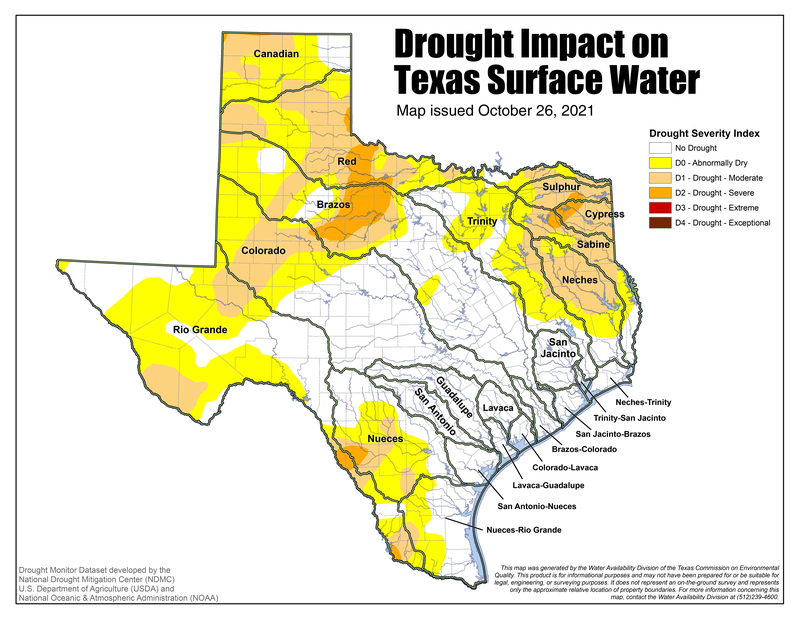 TWDB’s water plan, Water for Texas 2012, recognizes that a significant supply of energy will be required to provide the state with enough water. Water treatment and wastewater management are extremely energy-intensive, consuming the amount of electricity used by around 100,000 people annually. Here’s another way to think about it – drinking water systems, including waste water plants, can account for up to one-third of a city’s total energy bill. If the drought continues, Texas’ water plan estimates that annual economic losses from not meeting the state’s water needs could result in as much as $11.9 billion annually and $115.7 billion annually by 2060 – and over one million jobs lost. In 2009, EDF and the University of Texas published a study revealing that Texas’ power plants consumed roughly 157 billion gallons of water annually – enough to meet the needs of over three million people each year. In 2010, fossil fuel power generation consumed roughly 4% of the state’s water supply and consumption is projected to increase to 7.4% by 2060. As the population of Texas rises and the drought persists, meeting the energy and water needs of cities and power plants becomes harder and harder. This is an economic issue for the state that demands serious attention from its leaders in a more comprehensive way. What’s the solution? Well, it may be as simple as prioritizing water and energy efficient technologies. Better coordination, and possibly integration, of energy and water planning could lessen some of the vulnerabilities we’re facing in Texas—vulnerabilities heightened by our reliance on water-intensive energy sources and our state’s largely independent electric grid. 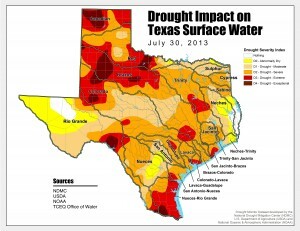 EDF’s State of the Energy Crunch in Texas report identifies several water-free solutions to the energy supply problem. Customer, or demand-side, resources – such as demand response, energy efficiency and rooftop solar panels – can help Texas address both energy use and water consumption. Demand response, which rewards those who reduce electricity during peak times, is a zero-water resource that addresses the energy crunch and the state’s fragile water supply. It enables customers to control their energy use and decide whether they want to reduce energy use during high, or peak, energy demand and expensive times (like 6:00 pm when everyone heads home and powers up their oven, TV, water heater, etc.). Energy efficiency is another viable solution. By reducing the amount of energy homes, commercial buildings and industrial facilities consume, overall electricity and water use is reduced at the same time. On top of that, energy efficiency makes our electricity more reliable, decreases our dependence on costly, and often foreign, fossil fuels and reduces the impact of harmful pollution from power plants. In addition to implementing new technologies, ERCOT and TWDB must collaborate to co-manage Texas’ energy and water needs. Texas electricity planners are already studying how prolonged drought might affect the state’s electric grid. Together with electricity planners from across the West, ERCOT worked with the U.S. Department of Energy (DOE) to develop a report that looks at how water shortages might affect the electric system. Through its ongoing work with ERCOT and others, the DOE hopes to develop a tool that will help electricity planners understand how drought affects long-term electricity planning. ERCOT’s work with the DOE is a great first step, but it’s a two-way street. TWDB and ERCOT’s forecasts should be developed in coordination to create plans that are inclusive of both the energy and water sectors. It’s imperative that decision-makers ensure communities and ecosystems are not deprived of adequate freshwater supplies as the drought and energy crunch persist. Simply put, Texas has the potential to adopt technologies and policies that will significantly cut down on water use, reduce the need for fossil fuel power plants and help Texans save – and even earn – money. By lining up the incentives to enable novel energy and water savings, we can make sure Texas’ lights—and faucets—stay on through the next record-setting summer. This entry was posted in Climate, Demand Response, Energy Efficiency, Energy-Water Nexus, Renewable Energy, Texas, Utility Business Models and tagged Demand Response, energy, Energy Efficiency, Energy-Water Nexus, Texas Energy Crunch, Water. Bookmark the permalink. Both comments and trackbacks are currently closed. As Texans, we’re really poised to be at the forefront of renewable energy that isn’t so water intensive. But we can’t expect our politicians to create the political will, they respond to it. We all really need to contact our members of Congress and let them know we need them to address climate change now! An aspect of Texas water situation you have not touched on is the disconnect between how surface and groundwater are regulated. Surface water belongs to the state and has been grossly over-allocated through its system of surface water rights. Groundwater is the property of landowners and, for Central Texas, is seen as the solution to all water problems. The trouble is they have not recognized in law and practice that pumping groundwater impacts surface water, and the law of capture encourages the pumping of as much water as can be captured, and finds the de-watering of a surface water (river or stream) to be fully acceptable. Currently we are in a battle here in Central Texas where the urban sprawling communities that are water hogs, are bidding for the groundwater in the Carrizo-Wilcox (Simsboro) aquifer without regard to the damage to the (Texas) Colorado River or local communities. 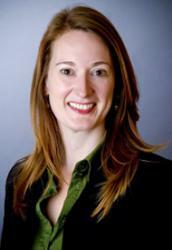 At one time EDF had an attorney, Mary Kelly, working in the Austin office who helped us with these problems. EDF had to de-fund that work in order to support other work. You should, however, contact her and get some additional insight into these issues. “Coal, nuclear and natural gas plants use enormous amounts of steam to create electricity. Producing all of that steam requires 190,000 million gallons of water per day, or 39% of all freshwater withdrawals in the nation”. However, this is not correct. Most of that water is used for cooling purposes and not to produce steam. The water requirements of a power plant for the steam cycle are very small (compared to the cooling water needs). – in the post “Where Is All Of The Water Going? A Look At Which Energy Resources Are Gulping Down Our Water” you say “Wet-cooled concentrated solar power plants use slightly more water than coal and natural gas; however, concentrated solar power plants can be designed to use dry-cooling, thereby reducing water demand by more than 90%. “However, all thermal power plants (not only concentrated solar power -CSP- plants ) can incorporate dry cooling, therefore reducing water requirements as well. As much as I like renewables, your graph on water use by power plants, which only shows CSP with dry cooling and not the rest of power plants, is not fair. If you “allow” allowing solar thermal power to be designed with dry cooling, you should also do so for all the other thermal processes. – in the same post you also say “Wind and solar energy consume little to no water and generate negligible carbon emissions.”However, solar Energy consumes little to no water, only if we are talking about photovoltaics (PV), not if we refer to concentrated solar plants. – finally, I was wonder where did the date came from for this: “Coal generally requires more water than nuclear, and generates more greenhouse gases emissions and other pollutants than any other energy source (about 2.15 lb CO2 per kWh electricity), making coal something like the chili cheese fries of energy.” All the literature I have found says that, since they are less efficient than coal plants, nuclear plants require more water and not less than coal power plants.